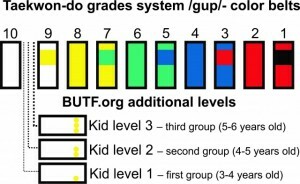 This article is the result of my over 15 years of experience as a sports teacher in the field of pre-school physical and sport education.My scientific research and practice as a coach teaching Taekwon-do in groups for children led me long ago to look for ways to adequate adaptation of grades system in Taekwon-do for preschool children.On the other hand, the reason to take steps to solve this problem was my direct confrontation with non-compliance of the technical requirements in Taekwon-do applied to children. 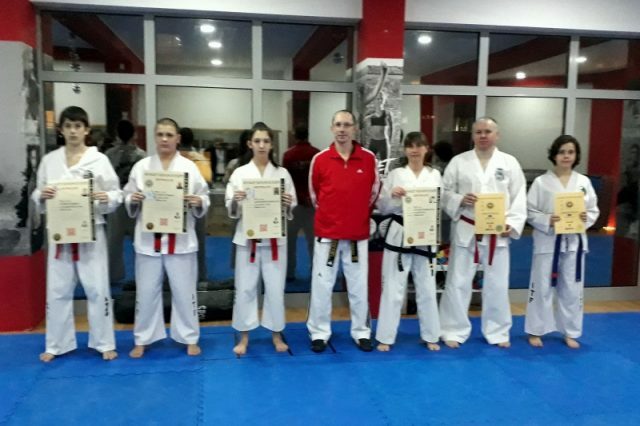 Adjustment of the grades system in Taekwon-do to kids today is actual problem and subject to national and international discussions and disputes. 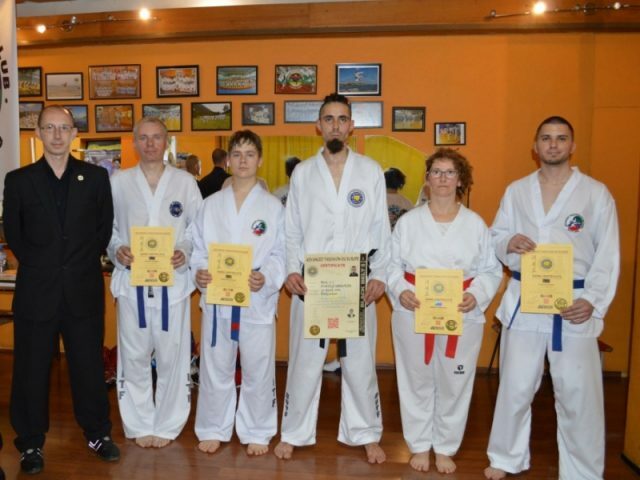 Taekwon-do is a martial art originally intended for military use. But in the army has no children – fact.Today, Taekwon-do is very popular and widely practiced around the world by many children from an early age.These days many TKD organizations seek ways to adapt the technical levels to children.There are organizations that are developing programs and training methods for children, but still no official information about the evaluation system.Some of them introduced test for 10 gup – white belt. 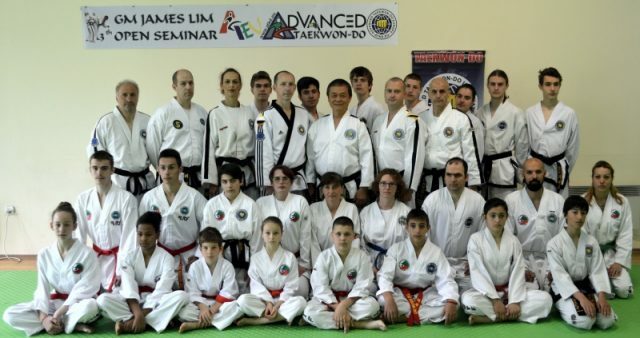 Other organizations have adopted intermediate grades in systems introduced by Gen. Choi.Recently, some organizations, forced by massive practicing Taekwon-do by children and their rapid growth, introduced black belt for children (Black Belt Junior). 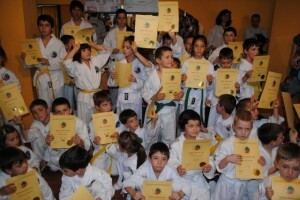 However, remains the problem with the youngest children practicing Taekwon-do 1, 2 or 3 years, who cannot meet the requirements for grades and finally their development remains unappreciated.Preschoolers covers specific contingent that is a significant part of Taekwon-do practitioners today.Lack of gradient systems and evaluation in this period leads to demotivation of children, and this should not be ignored because they are the future of Taekwon-do. 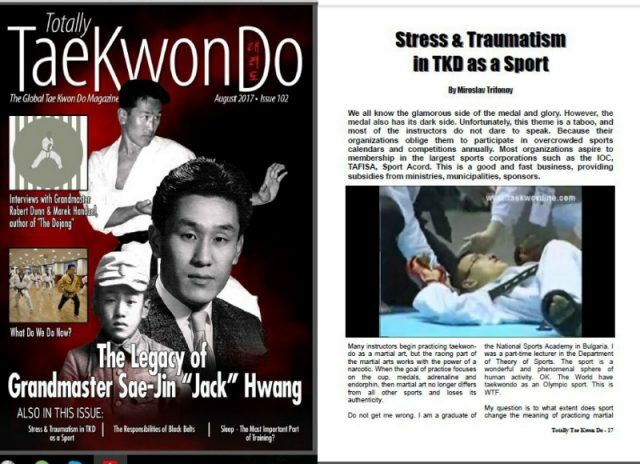 Adaptation of technical grades for children is a difficult case, since the road to change and innovation should not conflict with the “Encyclopedia of Taekwon-do” and system approved by the “father” of Taekwon-do.Until ten years ago any thought of innovation in the system of grades was taboo.Even today, any development not received approval from the Gen. Choi, suffered strong criticism.Many masters have the same opinion – “Taekwon-do is a” child “of the Gen. Choi and should not be changed!”. 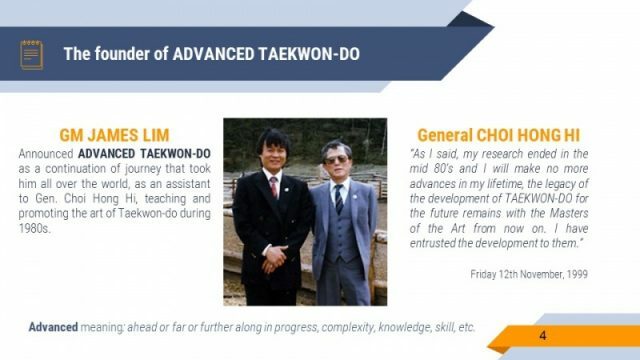 But does this mean that Taekwon-do should not evolve and adapt to the present? General Choi Hong Hi in the encyclopedia defines ten grades nine of which require test.Covering each grade is associated with specific examination requirements and execution of pattern.For us introduction of additional grades /half grades/ in system of Gen. Choi, means an unacceptable change, because we can’t split pattern in the half. For this reason, we chose an alternative way – Development and adaptation of the existing system. 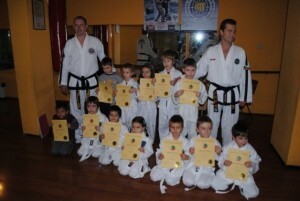 In 2011 Bulgarian Taekwon-Do Federation – BUTF.org officially introduced Kid levels as innovation for training and evaluation of preschool children.The purpose of additional three levels was the optimization of learning material and the children requirements according to their age and psychomotoric capabilities.Requirements for grades in Encyclopedia of Taekwon-do include movements, techniques and patterns that have complex spatial-temporal characteristics.Patterns in Taekwon-do requires logical thinking. 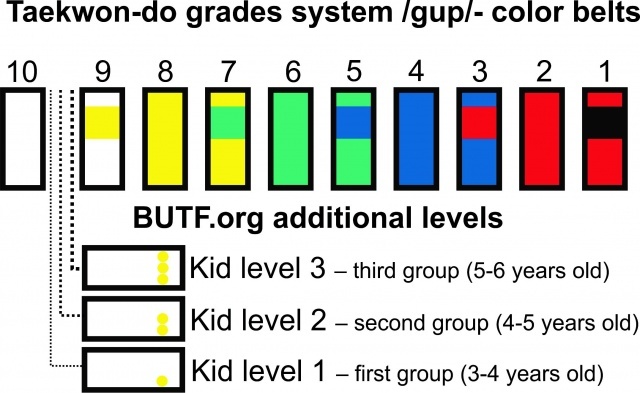 They are too difficult for proper performance from 3-6 year olds who still have visual-figurative and visual-active thinking.With the introduction of Kid levels, BUTF.org allows extra motivation for youngest students and gradually evaluation of their skills in Taekwon-do.The three levels are introductory or they are similar to the preparation in kindergarten for school.They correspond to the number of age groups in kindergarten, which range from 3-6 year olds. 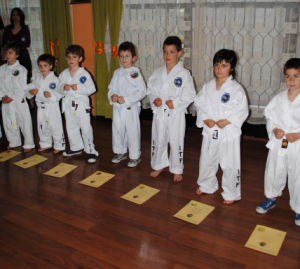 Completing kindergarten allows children to perform Taekwon-do patterns and cover the first grade – yellow stripe on the white belt.Kid Level, take place between the white belt, which the child receives as a beginner and 9th gup (the first grade in Taekwon-do, which is require examination).Each level is marked on the white belt with a yellow dot on the line of future yellow stripe.Testing requirements for different Kid levels include basic positions and techniques from a place and at a step that are necessary for the proper execution of the first patterns in Taekwon-do. The management of the Bulgarian Taekwondo Federation introduced Kid levels as innovation for Bulgaria, presenting it as the most rational response to the development of martial arts in the 21st century.This system of training and evaluation shows very good results and was accepted positively by children, parents and instructors.The youngest students are more motivated, more easily learn and quickly adapt to the environment when conducting an examination.Great joy for small taekwondists is the certification ceremony. 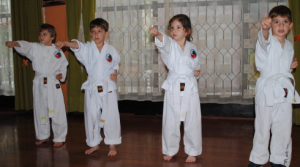 Children eagerly await marking insignia that define their new place in the hierarchy of martial arts.Proudly wear their belts doboks and gladly take the next step following the way of Taekwon-do. 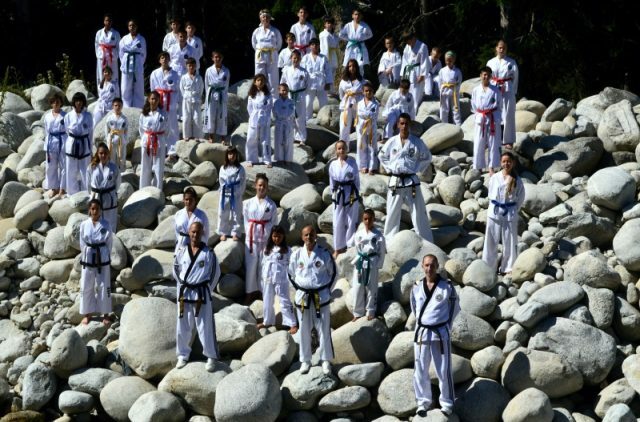 Advanced Taekwon-do adheres to traditional Chang-Hon patterns and techniques, but concentrates on “Do” and self-defense, instead of sport events, without politics and mysticism.